Logistics industry seems to be entering a phase wherein consumers, stakeholders and analysts are all beginning to get the same feeling. They see a new wind blowing, driven by the transformation in aviation, hospitality and retail sectors which are demanding their logistics backbone to catch up. They are also beginning to acknowledge where problems lie, and how they can and should be addressed. There is clearly more than one elephant in the room. Transparency and collaboration lead the herd but are part of the larger question of how technology is challenging the way processes are followed in an industry steeped in leveraging relationships as the market maker. Whichever way one looks at it, the state of affairs is simply not good enough for an industry looking at a potential targeted market of $15 trillion by 2024, $72 billion in GCC alone. When it is established that “every company is a technology company” and “IT strategy is the business strategy”, logistics providers can no longer be an exception. The good news is technology has the answers to the challenges. Since any good prescription needs extensive investigation and clear-cut diagnosis, let us start with where we stand today. Notwithstanding the industry, anyone in brick and mortar business today is facing the pressure of digitally-enabled change. That applies as much to an electronics manufacturer in China, a retailer in Venezuela or fruit supplier in New Zealand. Going by this logic, I infer that every company is a logistics company. Here’s what I mean by this. What you sell today is becoming less of a differentiator than how you sell it or should I say how you get it to the end consumer – ask Jeff Bezos. 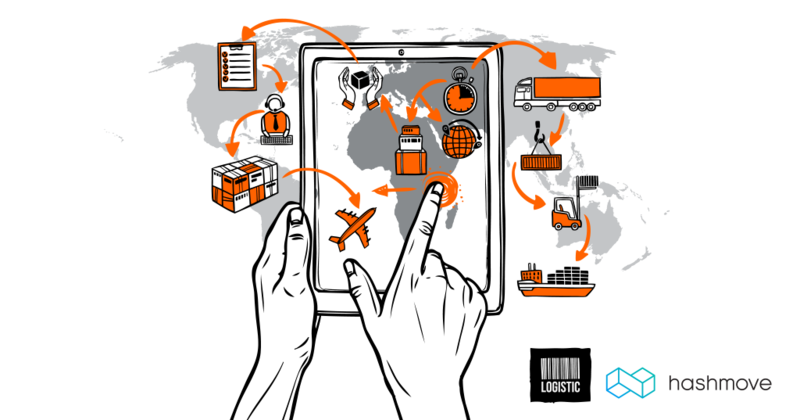 As businesses embrace the strategic importance of their supply chain efficiency, logistics providers need to be ready with solutions that meet the digital landscape in which their customers operate. Above all, they have to watch out for, and possibly embrace, disruption that manifests itself every now and then. Those investing in utilizing technology – to enhance level of services – will succeed in retaining the established “relationships” they rely on. The “Holy Grail” of logistics has always been the concept of a seamless, joined up end-to-end supply chain where all participants collaborate to share data effectively to improve efficiency. This ensures that cumulative results benefit all parties in the chain from consumer to provider. If the logistics providers do not take the reins on this, the market will correct itself. Let me share an example. Abu Dhabi-based Etihad Cargo recently added to its growing list of specialized products with the launch of FreshForward. This launch was in line with its support for a cold chain industry, responsible for importing perishable goods to the UAE. It will ensure that fresh fruits and vegetables, dairy, fish, meat and flowers move seamlessly across Etihad Cargo’s global network to their final destination. The launch marked expansion of Etihad’s value chain offering to include last-mile delivery over and above its conventional airport-to-airport model. The new venture makes perfect sense from the airline perspective but is another example of the failure of logistics industry to reach where eagles dare. While Etihad has the capacity and wherewithal to expand in this space, and rightly so, a more organized and customized logistics solution could have surely managed at least some share of this pie. The logistics industry is beset with challenges related to lack of a digitalized information hub, inefficient coordination, unreliable collaborations, intermittent visibility and absence of holistic logistics. Growing void of value-added services completes this perpetual cycle of inefficiency. The factor to be feared – and embraced – the most is indeed consumer expectation. No logistics player can expect to apply old world service standards to the shipment of today. Definitely not anymore. The need to take a holistic and integrated perspective of your supply chain has always been important, but it’s even more critical today as customer expectations around cost, quality, and service become more demanding. Part of the challenge to achieving this view is the fragmented technology landscape that many companies face today. When Ubers and Airbnbs of this world bring services to the palm of our hands, logistics can no longer work on ledgers tucked away in dusty drawers. The “demonstration effect” that I mentioned at the outset is indeed catching up. That suggests time is ripe for “Uberization” of logistics shipment and a brainwave will soon make things look ridiculously simple. Whether that happens sooner or later remains to be seen. Watch this space for more.